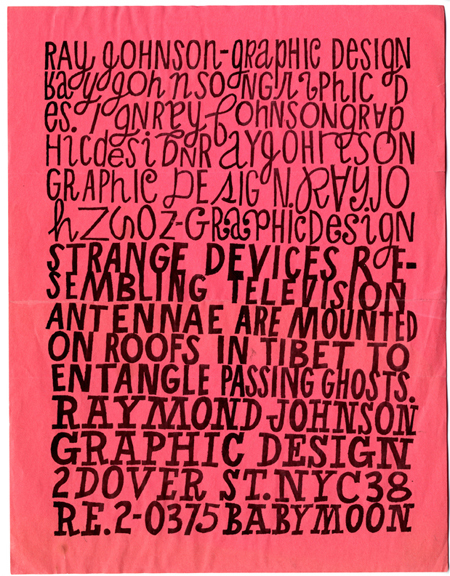 Ray Johnson. Promotional flyer (“Strange Devices…”). c. 1956-1960. The Museum of Modern Art Library, NY. Ray Johnson. Promotional flyer (“A Bird can do Easy Flying…”). c. 1956-1960. The Museum of Modern Art Library, NY. Ray Johnson. Back cover of “Peek a Book of the Week.” 1957. The Museum of Modern Art Library, NY. 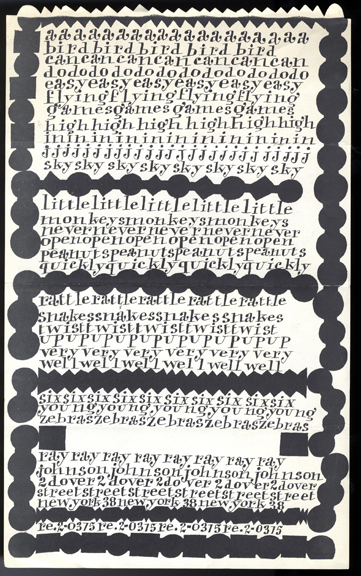 Ray Johnson. 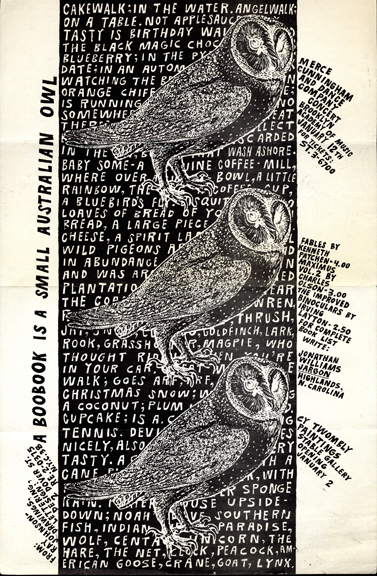 Promotional flyer (“A Boobook is a small Australian Owl”). c.1956. The Museum of Modern Art Library, NY. Ray Johnson. 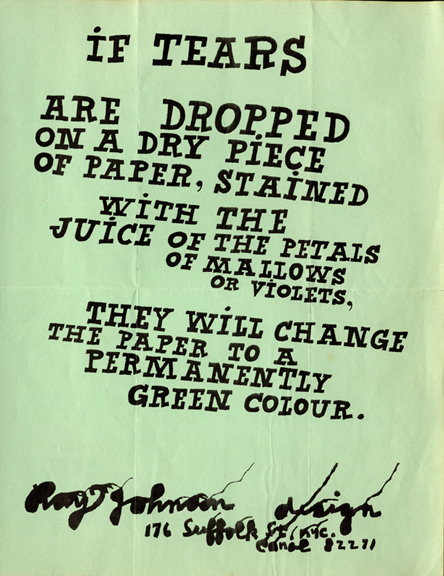 Promotional flyer (“If Tears are Dropped…”). c.1961. The Museum of Modern Art Library, NY. 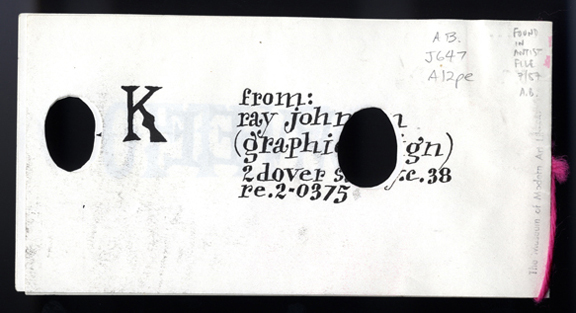 Ray Johnson. Last page of “Book of the Month.” 1956. The Museum of Modern Art Library, NY.